Although Sony will replace Sony Ericsson is a matter within the expectation, no one thinks about that it will come so quickly. On Las Vegas CES 2012, the first Sony branded smartphone Xperia Ion made an official debut. Powerful functions such as the 4.6-inch HD touch screen plus the 12-million-pixel camera make the return of Sony full of expectation. As the first Sony branded smartphone, Xperia Ion released this time is not quite satisfactory special in appearance. However, the hardware configuration of it has reached the top level: 4.6-inch 720p HD touch screen with 720×1280 pixel, combines with Sony exclusive Mobile BRAVIA Engine which will bring with more elaborate display effect. Sony Xperia Ion is also with built-in 1.5GHz dual-core Qualcomm Snapdragon processor. For more fluid control experience, this mobile phone is also equipped with 1GB RAM and 16GB storage space. In addition, by using HDMI users can browse photos and videos on mobile phone when connecting to big screen. It also provides users with the NFC near filed communication function which not only lets the cell phone become mobile payment tool, but also support to achieve data exchange and online game functions with compatible devices. Xperia Ion is equipped with 12-million-pixel camera, adopting Exmor R backside illuminated CMOS sensor. It can not only support automatic focus and 1080p HD video recording, and can also obtain a relatively ideal image effect even in poor light. In addition, Sony also announced that the time interval from the shooting function activation to the first picture shot is only 1.5 seconds. Because the mobile phone supports LTE high-speed network, so in order to realize the video calling function this smartphone is equipped with 720p front-facing camera. However, Sony Xperia Ion is running on Android2.3.5 system, users can upgrade it to Android 4.0 in the second quarter this year. For the sake of integrating with its own products, Sony Xperia Ion also offers Playstation Identification function which means that this smartphone supports specific Playstation game. As for functions like GPS navigation, WiFi wireless internet, WCDMA/HSDPA network, Bluetooth technology and memory card expansion are included in it. Sony Xperia Ion also adopts metal back cover design, 10.8mm thick and 144g weigh. And in order to get more ideal endurance ability, this phone is equipped with 1900mAh battery so as to realize 12-hour music playing, 350-hour standby time within 3G network and 4-hour holding time. 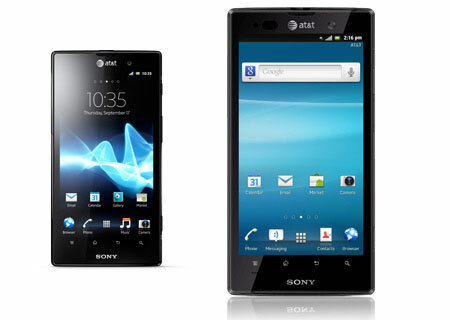 It is reported that Sony Xperia Ion is customized by AT&T, will be put into the market in the second quarter this year. But it is not clear whether it will be released globally. How to rip and convert DVD to Sony Xperia S video?